New this summer, Mimanagish is offering a retreat to relax, repurpose, rejuvenate, and inspire voice for civic action. This retreat will be nourishing for people at all levels of current civic involvement. There will be time reflect, to journal or write letters, to learn from and/or inspire others, to integrate body-mind-spirit, get to know new people, recreate, and enjoy the beauty of nature. This retreat will offer the opportunity to create a community of fellow travelers to support each other going forward after the retreat ends. This is not a retreat so much to champion specific causes as much as it is to help each individual identify focused areas of concern and to consider how to sustain effort without burning out. We will explore how to listen deeply to each other, to open ourselves to other points of view, and to hold multiple perspectives. We will consider what it means to 'welcome the stranger.' The hope is that we will strengthen and inspire each other so that we will go home better able to build strength into our home communities. Arrive early and bring a lunch to hike, rest, read, fish, and relax. Mimanagish boasts over half a mile of stream-side access along the Boulder River. These waters are lightly fished and represent one of the unique benefits to retreat at Miminagish. 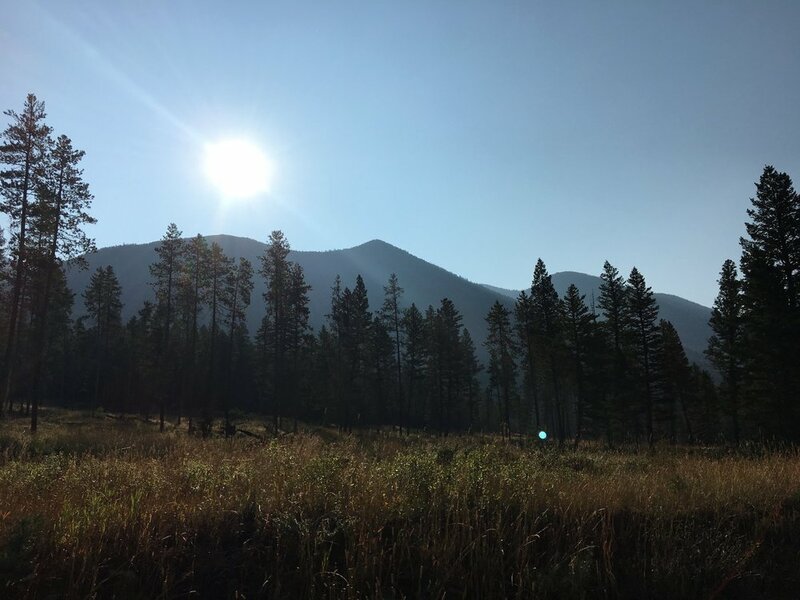 Anyone wishing to fish must have their own gear, be familiar with Montana regulations, and carry an active license from Montana Fish Wildlife Parks, available for purchase in Big Timber and Livingston. 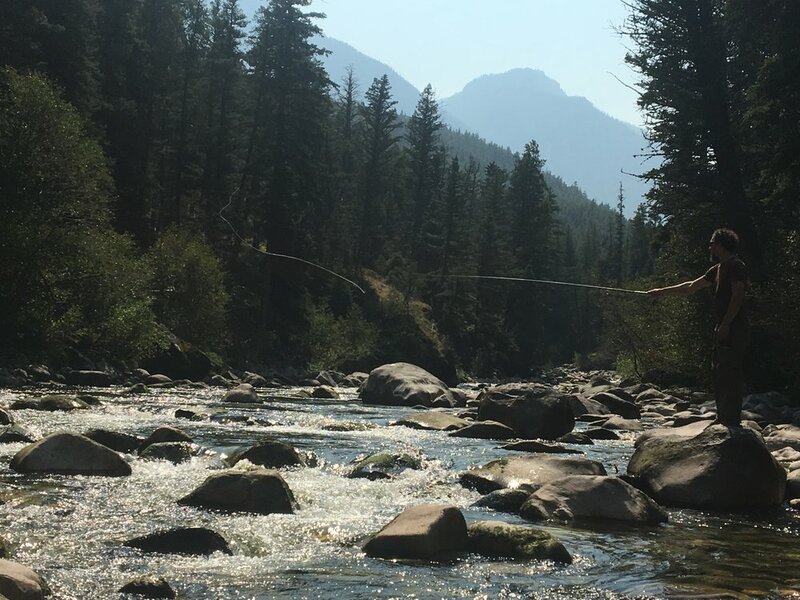 Participants interested in staying to hike, fish, or enjoy the Boulder River through other recreation may extend their stay at Mimanagish one extra day for an additional fee of $50. This extension will provide a light dinner Sunday evening and a light breakfast Monday morning. While program leaders will help to coordinate recreational opportunities, no official programming will be offered. With enough request, Mimi Lockman will provide massage to participants during Civic Action Retreat for an additional cost of $60/hr. After attending various camps over the past 40 years, the Boulder River and Camp Mimanagish have become Tricia's spiritual home. Since retiring as a special education teacher, there has been no end to the opportunities in Red Lodge to become involved in. This year's focus is on advocating for human rights issues, concentrating on youth through the Red Lodge Community Action Program, Boys and Girls Club, Red Lodge Call to Action, and Youth Garden. Winter sports, bicycling, hiking, gardening, and yoga provide an important balance to civic and family responsibilities. Interested in learning more about what what life is like at Mimanagish?